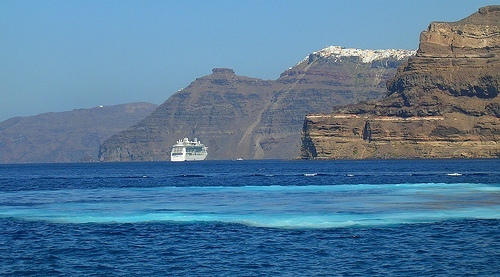 Crete to Santorini - ferries, flights and more. 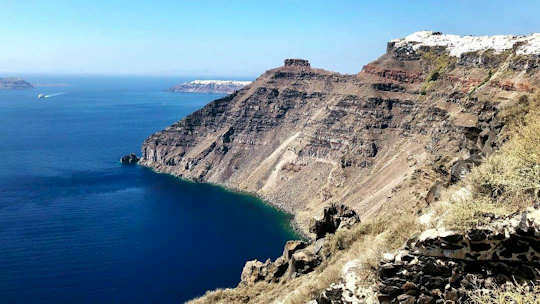 How to savour a visit to Santorini from Crete. 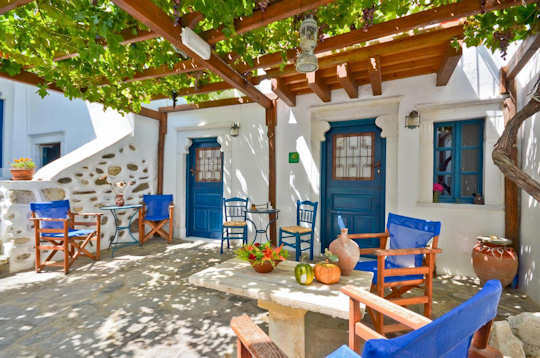 Santorini Accommodation - we have chosen some great places to stay in Santorini, for different budgets. 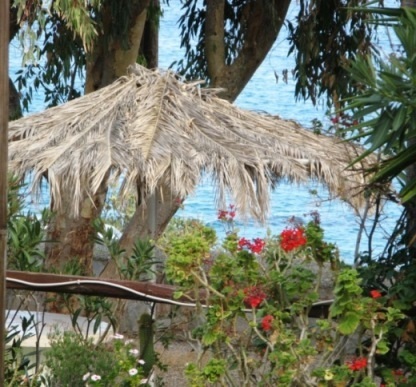 Crete to Kythera - how to get to this small island to the north-west of Crete, and exploring the island. 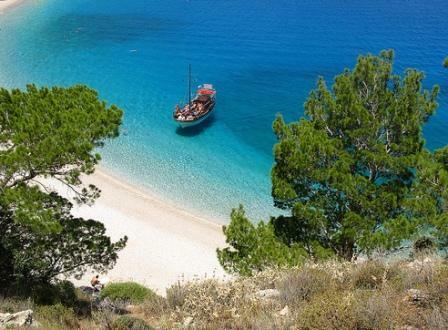 Crete to Karpathos - all you may need for visiting this wonderful rugged island to the east of Crete. 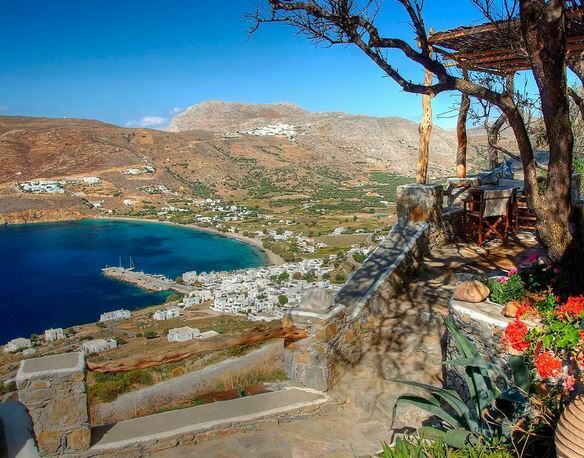 Crete to Rhodes - how to get to this island in the Dodecanese, accommodation and exploring the island. 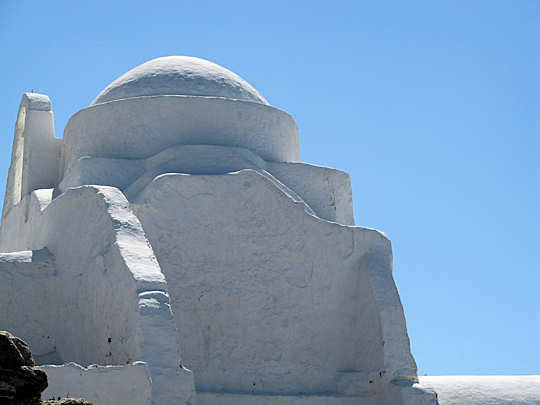 Crete to Naxos - see the Cycladic island of Naxos with a personalised itinerary from Crete, island-hopping via Santorini. 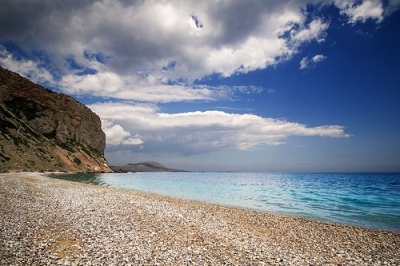 Crete to Amorgos...a personalised Greek Island holiday starting in Athens. 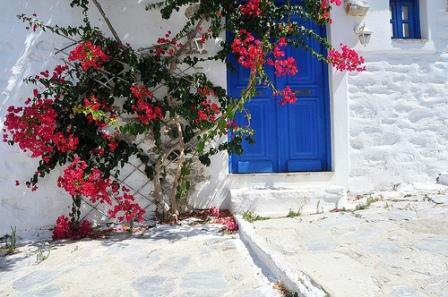 "Every Greek island has a story to tell, we explore the individuality of the island and share her essence with you." 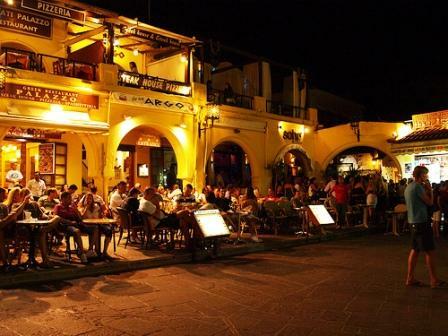 Travel Greece - including Crete in your Greek Island holiday is easy as there are flights and ferries between Chania port and airport and Heraklion port and airport. 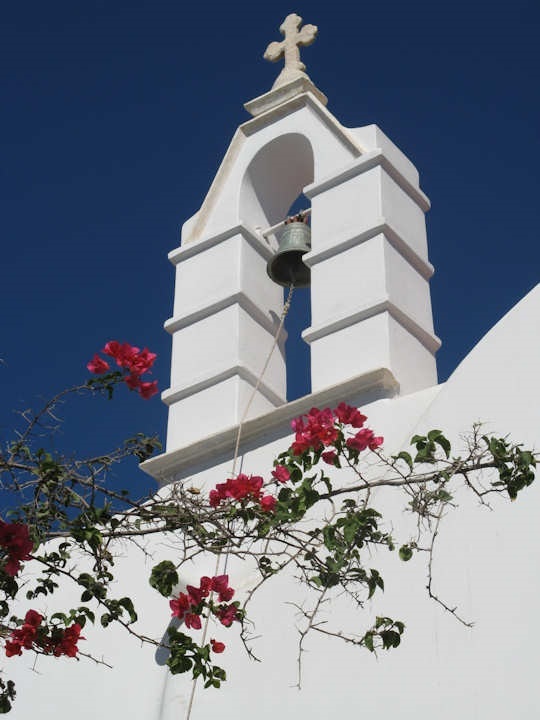 Explore Crete with plenty of time, see our handy ebook guides to the back roads of the west and east, or combine the two into at least a 10 day journey through Crete. 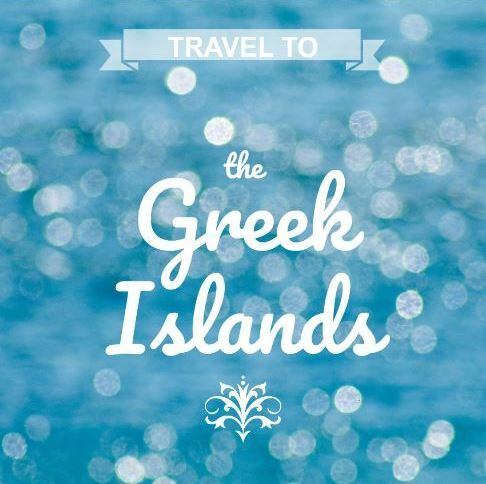 One of the most common ways to start island-hopping is to take the fast ferry from Heraklion in Crete to Santorini - a journey of only 2 hours. 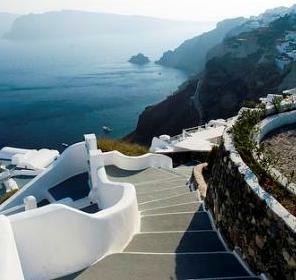 From Santorini you can take ferries to many of the Cycladic islands, such as Mykonos or Syros, then return to Athens via Pireaus Port or Rafina Port. 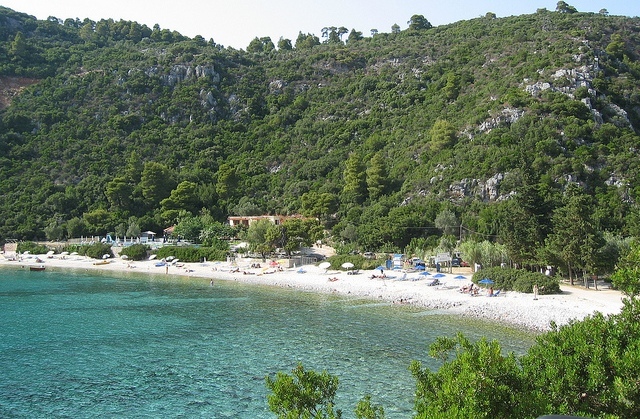 Using Rafina Port is more relaxing, if you do not want to go through downtown Athens, and you could stay close to Rafina or at the airport hotel, prior to taking a long flight back home. 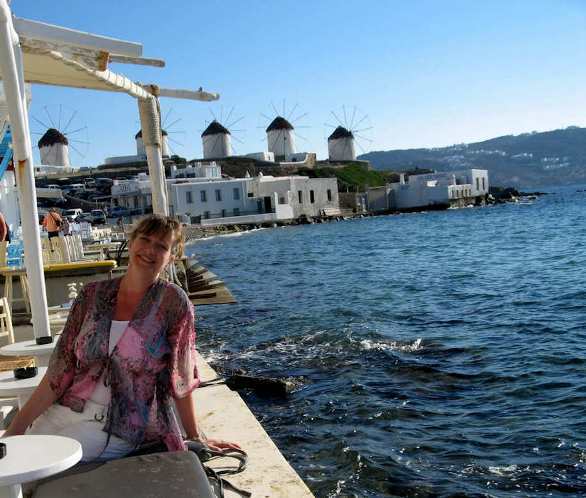 Did you know you can stay in one of the famous windmills of Mykonos? 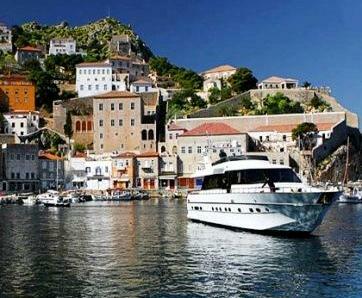 Travel Greece - our tips for itineraries include day by day suggestions and accommodation ideas. 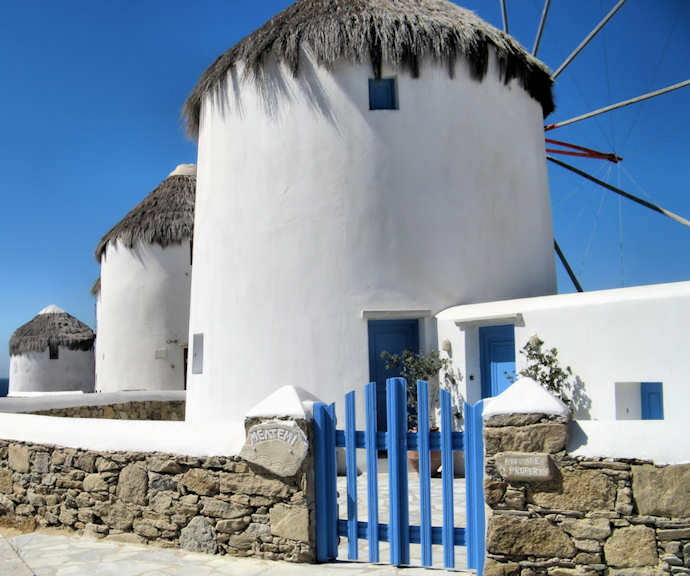 This 10 day itinerary includes Crete and Mykonos and beautiful, unique experience of sleeping in one of these windmills in Mykonos Chora, the old town of Mykonos. 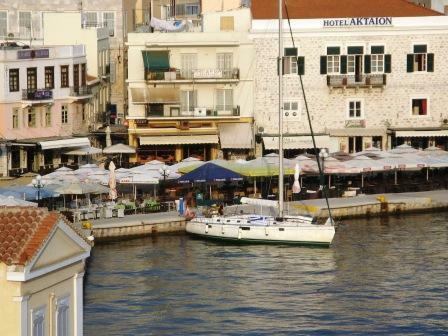 Wake up with the bay sparkling at your window and stroll just a few metres for coffee at Little Venice. Now that is the way to experience Mykonos! 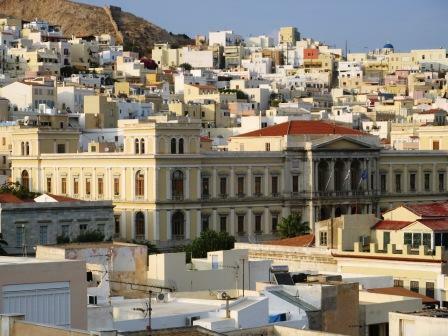 Greek holiday makers and those familiar with the Cyclades already know about Syros, but international visitors have not yet discovered her beauties, which makes the visit even more special. 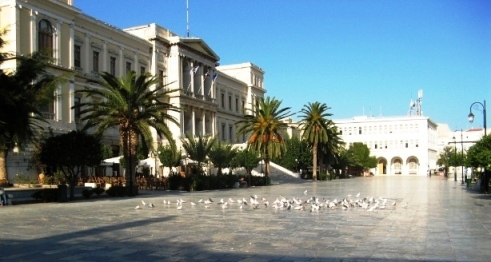 The capital, Ermoupolis, (pictured above) was once the capital of Greece, and retains the spendour of a wealthy and prosperous past, with exquisite neoclassical architecture and marble streets. 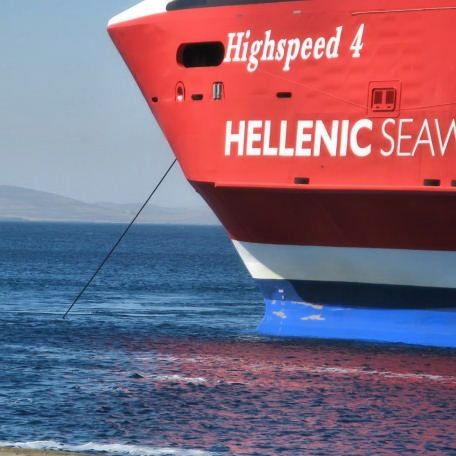 Take a ferry from Mykonos to Syros in less than a day, and then return to Athens Airport via Rafina Port, making your Crete to Cycladic island-hopping smooth and easy. 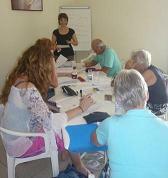 I learned Greek on Syros island, enjoying the food, beaches and culture after class! 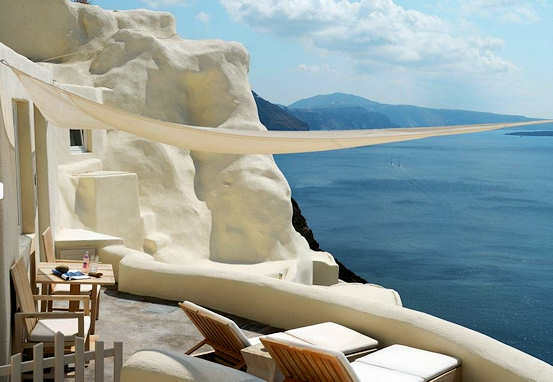 Santorini is famous for many reasons, and deservedly so. The views from height at the edge of the caldera are magnificent. The atmosphere is indescribable, the light is the stuff of poetry, and the bright white symmetry of the architecture stunning. 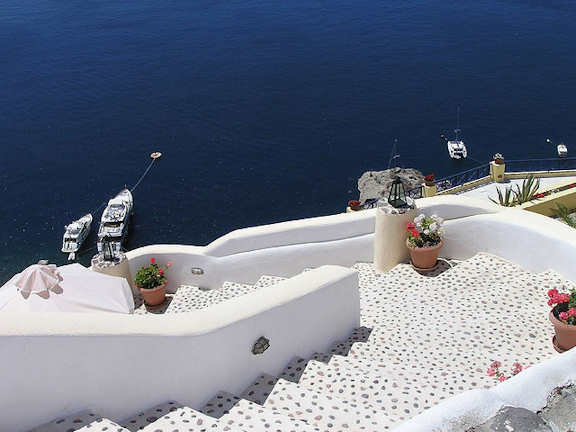 As Santorini is so accessible from Crete, we suggest it can be easily included in your Greek island-hopping plans. Just be aware that it gets really, really crowded in summer. There are two ways to deal with this, book waaay ahead, or travel in spring. 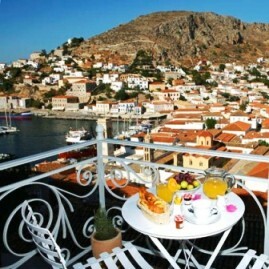 May and June are perfect months to travel Greece. Sparkling blue seas, more space, time to relax.